Step by step instructions on how to build a block screen wall in the garden to give privacy and divide up areas. Concrete decorative garden wall blocks are a quick and easy way to build walls and create privacy in your garden without obscuring the view. This DIY project teaches you how to strengthen and secure a wall that is built of decorative wall blocks by reinforcing the piers or pilaster stones, adding EML mesh to strengthen the joints and also how to lay coping stones on top of the wall once finished to not only give additional support to the entire wall but also give it a nice finish. This project also includes a list of tools and materials you will need and also tells you about the type of foundation you will need to construct in order to build your block screen wall on. Using decorative concrete blocks to make a screen wall in your garden is an easy way to divide up areas or provide some dappled shade and a degree of privacy. Depending on where you purchase your blocks (try your local builder’s merchant), there may be a range of patterns and even colours available. Most blocks are around 300mm (12”) square and 100mm (4”) deep. 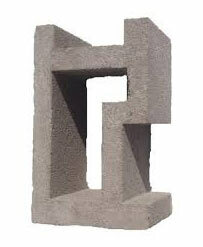 The cast concrete blocks you will be using to build your screen don’t work in the same way as normal bricks or blocks. Because of their pierced decorative effect, they work much better if they are laid in line rather than staggered like a normal wall. This means that you need to create piers to strengthen the wall. 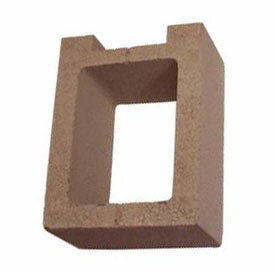 Blocks called pilasters are available to build the piers with – these specially designed blocks are created so that the screen blocks fit into a cast recess, forming a strong joint. Pilasters are available in end, intermediate and corner versions, and should be placed no further apart than every 3m (10ft). 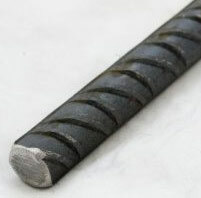 You will need to reinforce your piers and pilaster blocks with 16mm steel rods. The pilaster blocks are designed so that a rod can be inserted down the centre of the pier. These rods will need to be inserted both down the centre of the piers to your desired height so that they then give upright strength and rigidity and also into the concrete foundation so that they are bound to the footings. If your wall is going to be more than 600mm (2ft or two blocks) high, you also need to reinforce it horizontally by adding lengths of galvanized wire mesh between courses. Cut to size with wire cutters so it doesn’t protrude over the edge of the blocks. 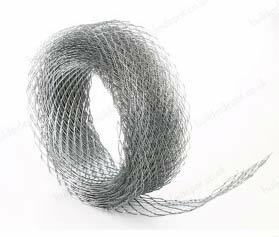 This galvanised metal wire or Expanded Metal Lath wire can be bought from most builders merchants. It is normally bought on a roll and you simply roll it out and cut to the desired length. In most cases it will be the correct width for your blocks (3 inches) but it may need trimming up. 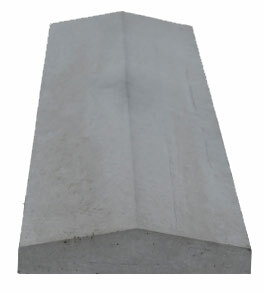 Caps and copings for the tops of the pilasters and wall should be purchased too – these will finish the top of the wall in an attractive way, and help to add strength and protection. There are quite a few different types and designs available so the choice is up to you. Building sand and cement are needed to make your mortar – see our Mortar Mixes project for help with this. Because screen blocks are often white, you might want to use white cement and silver sand to produce a light coloured mortar to match. You could also use a cement dye to make a contrasting darker mortar. Be careful not to let the mortar stain the blocks when building your screen. Like all walls, your screen will need a solid foundation to support it. See our projects on Building a Garden Wall and also Foundations for help with this. 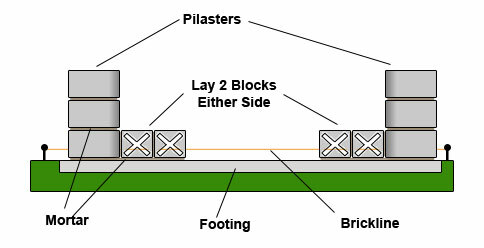 The foundation is the critical point of any wall as it will provide the base support for the weight of the wall above. If your foundation is not thick enough to take this weight then it will crack under the pressure and the wall above will duly follow suit! As you can imagine, the depth of the foundation you will need will very much depend on how high your wall is going to be and also what type of ground you are building on. Soft ground will require a deeper foundation than harder ground. As a general rule a foundation 1 foot 6 inches thick (450mm) should be deep enough for a block screen wall 2 meters high, providing the ground is suitably stable. If in any doubt, check this with a builder. 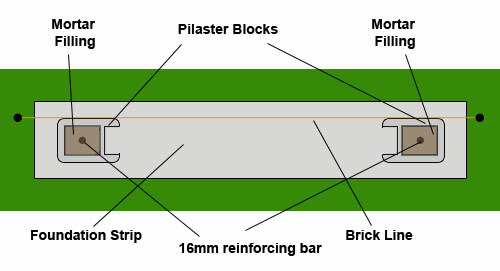 In terms of width – your foundation strip will need to be at least 6 inches wider on either side than your pilaster blocks. Make sure you drive the steel reinforcement rods into the ground a good way before you tip the concrete into the foundation trench, and hold them in place with guy ropes until the concrete sets. 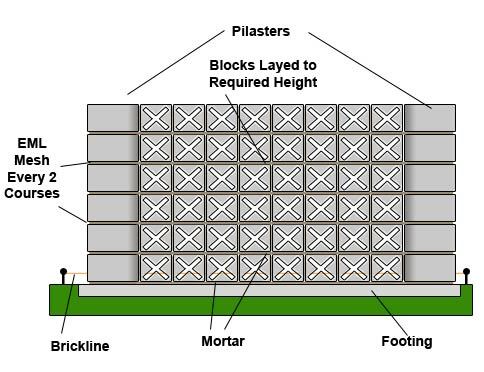 Be sure to measure carefully and include 10mm between each block to allow for mortar joints. This will then ensure that the rods for your base pilasters are in the correct place. Once you have poured your concrete and leveled it you will need to leave it to cure and set before you can commence laying your block screen wall. Set up a brick line to make sure your screen wall is straight. 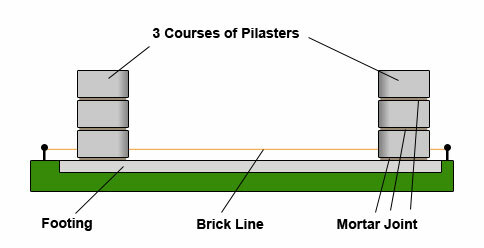 Set the line so that the rear of each of the first layer of pilaster blocks is flat and touching the line. Next, lay the second pilaster block on the opposite side using the same method described above. Again, ensure that it is flat and level. One important thing to note at this point is that not only do your blocks need to be flat and level but they also need to be inline so that all the blocks layed in between also line up. With your corner pilaster blocks now down and level you can commence laying further blocks. 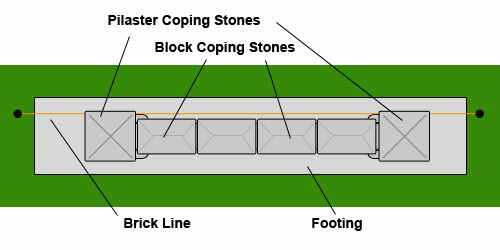 Do not build the piers any higher than three pilasters/two screen blocks to start with as you will have to let the first few layers set so that any further courses you lay on top do not crush and squeeze out the unset mortar and also so that you have a strong base to continue working upwards. Point the mortar joints, using an off-cut of garden hose to run along the joints to give a neat, concave effect. Let the piers set overnight before starting on the screen blocks. Lay two blocks next to the first pier, then another two next the pier at the other end. You can then work towards the centre, filling in the gap. Repeat this for each section of wall, and add another layer so that your screen is two blocks high. Remember to check the horizontal and vertical level of each block you lay with a spirit level to ensure that it is level and upright. This may seem time consuming and pointless but a few millimeters out at the bottom could mean a few inches out at the top and the potential for your wall to collapse! 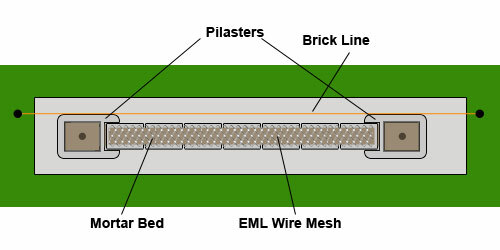 At this point, put a layer of mortar along the whole wall and piers, and lay a length of reinforcing mesh along the wall – embedding it in the mortar. You can then add another two courses of block, again building piers first then fitting the screen blocks in. You can build your wall up to 2m (6ft 6”) high, but don’t build more than four courses at once. 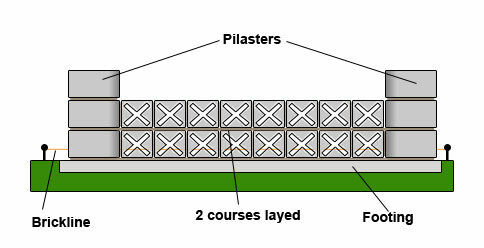 Add a layer of reinforcing mesh every two courses, and allow the mortar to dry after four courses. Keep pointing up the joints as you finish each course. When you have reached your desired height, mortar another length of mesh along the top and lay your caps and coping blocks.